As most readers are by now well aware, a letter sent by Cardinal Muller to Bishop Bernard Fellay, with the approval of Francis, has been made public. 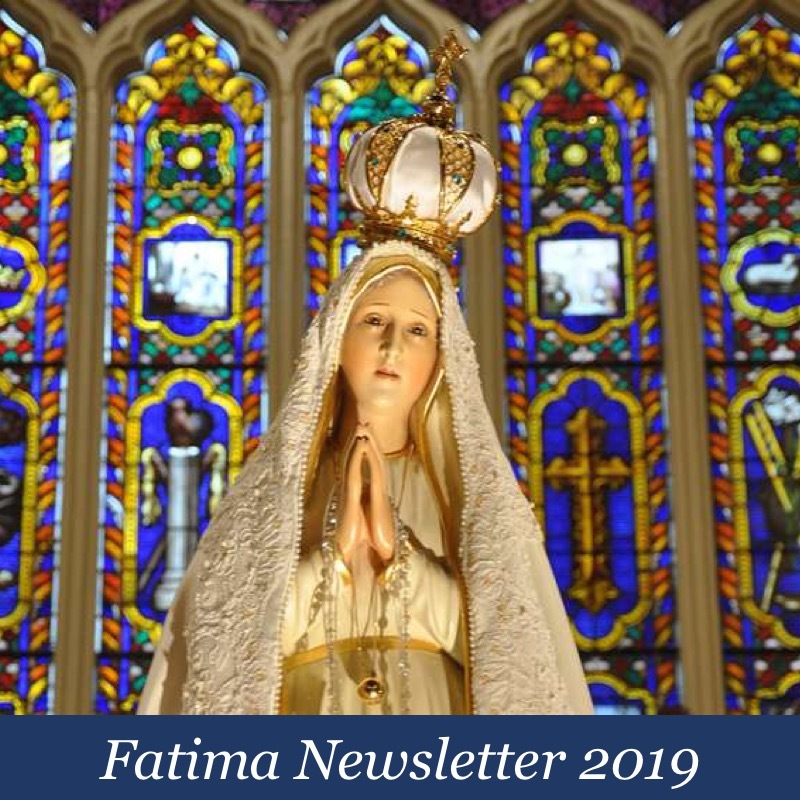 The points that follow in Cardinal Muller’s letter appear (from my reading) to be little more than a recap of the Declaration that was presented to Bishop Fellay on June 13, 2016 (the 99th anniversary to the day of Our Lady’s second appearance at Fatima, but more on that later). In reading this letter, I do not get any sense whatsoever that these “unanimous decisions” of the CDF members amount to a modification of the Declaration. On the contrary, it seems rather obvious they are simply a reiteration of the requirements that were presented to Bishop Fellay over one year ago. So, what exactly prompted the letter? It appears evident that Bishop Fellay responded to the Declaration with some sort of counter proposal. With regard to item #2, the wholesale embrace of Vatican Council II is impossible. So too is the requirement set forth in item #3 with respect to affirming the “legitimacy” of the Novus Ordo Missae. Cardinal Muller’s letter doesn’t provide any further substantial insight into Bishop Fellay’s response, but it does tell us that, short of an about face on Rome’s part, the discussions are effectively over. 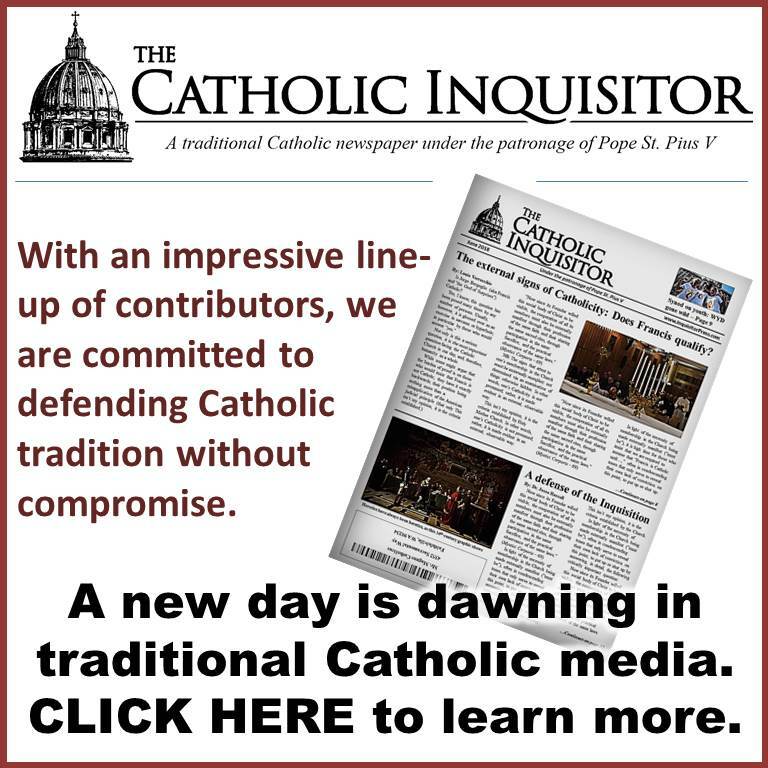 Neither the Second Vatican Council nor the Novus Ordo Missae can be reconciled with tradition and, as such, each one poses a grave danger to the faithful. The witness of the past five decades testifies to this truth with impeccable clarity for those with eyes to see. Among so-called “traditionalists” no one disagrees. Again, among so-called “traditionalists” (aka Catholics) no one disagrees. So why, pray tell, do we now find so-called “Fatimists” swooning over prelates who staunchly defend the supposed goodness of both the Council and the new Mass? I suppose the answer to this was given by Our Lady as well; diabolical disorientation. Thankfully, the Blessed Virgin also gave us the remedy. Let us renew our consecration to the Immaculate Heart of the Blessed Virgin Mary, begging her on behalf of ourselves and others to gather us therein; to protect us from all forms of deception; to grant us the grace to recognize half-truths and errors and the fortitude to condemn them for the poison that they are regardless of their source. The cardinal just wants the SSPX to offer just a pinch of incense, that’s not too much to ask, is it? Those Catholics of old who refused to offer that pinch lost their heads but they were just being extreme, weren’t they? The new mass is pure poison and destroys all that it touches. 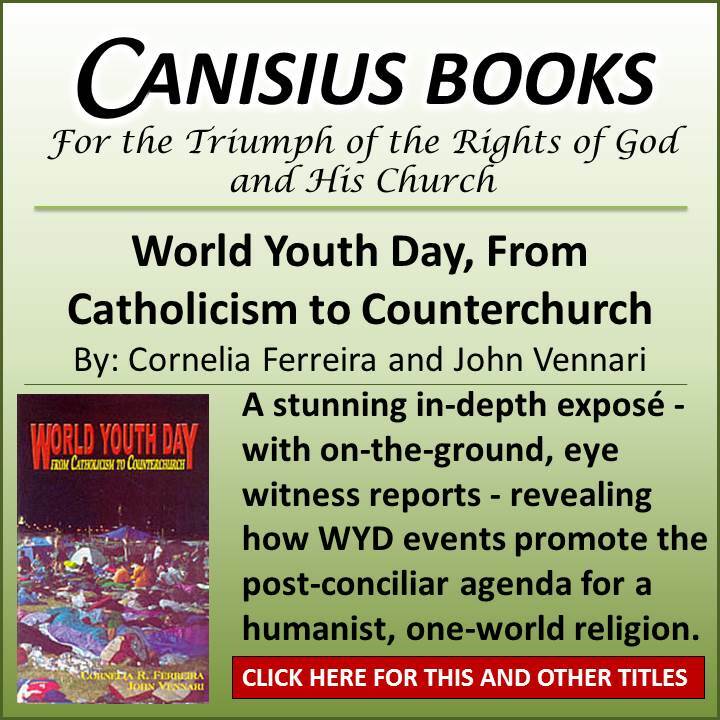 However, the new generation of Catholics seem to love it and the entertainment it provides and how its oh so inclusive. God have mercy on their misguided souls. You speak the truth, Louie. Consecration to the Immaculate heart is the solution. Her victory is coming, sooner or later and how glorious it will be. Why the Profession of Faith from 1988 and not 1962? Is not our faith always the same, never changing, and eternal? But here the modernists implicitly admit that theirs is a new faith and a new religion because it requires a new profession. All professions prior to V2 are no longer valid since the faith changed. And since it is a new faith, the new priesthood and sacraments and hierarchy are no longer Catholic. Stop pretending these imposters are Catholic. Francis is not the Pope. Neither is Benedict. No true Pope would ever say the Novus Ordo fake mass. Again, you present the clarity of truth in pristine fashion. There is no “Consecration of Russia” that can now occur in this time with “The Pope in union with the Bishops of the world”, because their church does not hold the One True Faith, therefore it does not profess the Apostle’s Creed and is not in Apostolic succession, and as a consequence it cannot have a true Pope and true Bishops, rather it professes the religion of the Antichrist, as it holds its faith in man, as the religion of man. Our Lady of LaSalette promised us, as the Mother of God can only do–promise–that the Church would be in eclipse, the world would be in dismay. What is it that is not patently clear about such a promise? “Rome will lose the faith and become the seat of the Antichrist.”, “The Church will have a frightful crisis”. Can we imagine that when our Mother and our love, as the Mother of the One Who Is Love, instructs us with a promise that the Church will have a “frightful crisis”, that the crisis of which she divinely speaks, would not be the most nefarious, bellicose, and ungodly thing that we could possibly imagine? 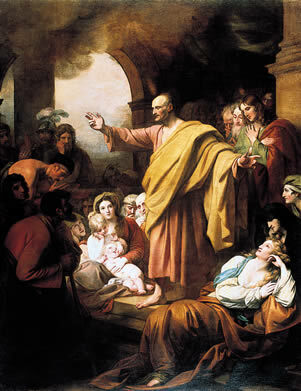 What could be more frightful than to realize, as Saint Paul inerrantly proclaimed in his Second Epistle to the Thessalonians, chapter 2, verses 3-11, that the Chair of Saint Peter would be empty, as “he” who has warded off the mystery of Iniquity since the Apostolic Age, until the stage was set and the prophetic time had arrived, that he would then be “…removed from the enemies’ path”? That the man who deems himself, “Peter”, in that time thenceforth, could only be an imposter and his church the church of the Antichrist, and his religion the religion of Lucifer, all dressed up Catholic but devoid all the authentic and holy Sacraments. Christ Jesus commanded, “You are either with Me or you are against Me.” These emissaries of Lucifer are not with Christ. An innocent child would know that. This time of diabolic disorientation is the time when “even the most elect would fall”. May Almighty God in His Triune Personhood, grant us the reception of the grace of perseverance and fortitude in this darkest of times. In caritas. To quote you from above, “This brings me back to the message given by Our Lady at Fatima where she warned us about precisely these things; Vatican II and the Novus Ordo Missae – ‘ “a bad council and a bad Mass.” ‘ “. When the Mother of God, our Mother, promises us that there will be, ‘ “a bad council and a bad Mass” ‘, we know with certitude that what she speaks of cannot be “Catholic” (the “mass” and the “council”), as to be “bad” is not to be “good”, as Almighty God is Goodness Himself, as all attributes flowing from God are of His Substantial Essence, as Being Himself. We know then, as is only rightly reasoned, that “not to be good” is “not to be of God”, which is evil as metaphysically defined—“the privation of the due good”. That which is “evil” cannot be that which is “Catholic”, as that which is “Catholic” is of God Himself. God, with certitude, is “Catholic”, in perfect contradistinction to what the emissary of Lucifer, Jorge Mario Bergoglio as “Francis”, proclaims to be the reality. As God simply Is, all of His infinite attributes, as these attributes flow from His Substantial Essence, God Is Catholic, as He can only be. If all that is good was somehow not part of the Substantial Essence of God, then He simply could not be God, as something “good” would then exist apart from His giving it “being”. I pray this helps. In caritas. “[…] No! We shall never accept such things! We want to be faithful to Our Lord Jesus Christ! We want to follow Him wherever He may lead us and we want to keep His teachings. This is what we must take as our resolution, no matter who may seek to contradict us. The Second Vatican Council was a vehicle used by the enemies of Christ to destroy His Church. Anyone who promotes this horror (willingly or unwittingly) plays a role in this destruction with varying degrees of guilt. In my 20 year association with the SSPX, I always felt that I (in some small way) belonged to the Army which was leading the fight to “restore all things in Christ”. I am sorry to say that I now feel the Generals are holding up the white flag and I am left with nothing but the bugle. I know Mary’s Immaculate Heart will triumph. That is my consolation. I prefer to view the SSPX as continuing to turn out high quality Catholic Priests. The SSPX has been waging a Rosary Crusade since January and it’s not the first one! Negotiations are ongoing with the idea that Our Lady will guide the outcome. I think all of the talk about surrender and betrayal are premature and show a real lack of trust in the spiritual component in all of this. Exactly what is the… “trust in the spiritual component in all this”… that you refer to above? Do you believe, as Bishop Fellay apparently does, that the SSPX is destined to save the Church? Well, lets just say that the Society has kept the Church afloat since Vatican II and there is absolutely no room for doubt on that score. Our Lady’s Triumph will save the Church but She predicated that on many Rosaries being said for that intention. How many nominal Catholics even say the Rosary anymore do you think? I can imagine that it is seldom said by many outside of Tradition. So let’s see, there is the Society and those Novus Ordo institutions that basically would not exist if it were not for Archbishop Lefebvre and the SSPX. The only reason they were established was in an attempt to destroy the Society that the Archbishop founded. Then there is the practice of the First Saturdays which is not likely to be found outside of Tradition either. So, since in God’s providence, He gave us the Archbishop and the SSPX to keep Tradition afloat, and since Tradition IS the Church, for no new religion can claim to be Catholic, then I would guess to your question is yes. And thank God for it. 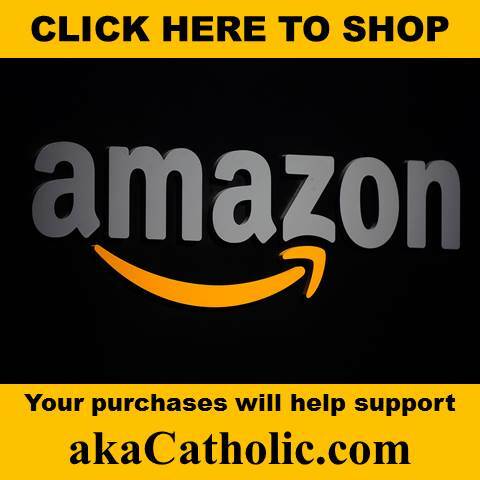 Rushintuit—I also view the SSPX as continuing to turn out high quality Catholic priests. However, these dedicated hard-working “foot soldiers” need strong Generals who do not negotiate with the enemy. If the SSPX is destined to save the Church, the leadership must recognize the enemy as “the enemy” and be extremely cautious and prudent. Those who worry over developments between Modernist Rome and the SSPX are legitimately and rightfully concerned. Let’s us pray that Our Lady will guide the outcome which does not include compromise, concessions or anything that validates the enemy which is the post-conciliar “church”. my2cents, I agree with you. I am absolutely against any negotiations. But I think there is no doubt that Our Lady will have Her way with the Society and that all these Rosaries we have been saying will be highly instrumental in saving the “Generals”. I do not believe for a minute that they will agree to these things that are being required and I disagree with Louie that they were the same things that were required before. They were not. They are new things that are being required. So I say good. Let them require things the Society cannot agree to. Let the negotiations cease once and for all. Let us wait until Our Lady accomplishes the conversion of Rome, then nothing further will be necessary. Meanwhile, God and His Holy Mother bless us and keep us Catholic!